“For the last 20 years I have had to watch the suffering of those affected by autism as the problem multiplies year on year. What started with hope for a new understanding, new and effective treatments, and even prevention, turned to despair as special interests exploited their influence over the media to crush the science and the scientists. And then, two decades and a million damaged children later, one man, Dr. William Thompson – a CDC insider – decided to tell the truth and the embers of that early hope glow once more. Several years ago I decided that to take on the media you had to become the media. The best medium for this story is film. Our aim with this movie was to take this complex, high-level fraud and to give it context, and weave through it the tragic street-level narratives of ordinary families affected by autism. This entry was posted in Dr. Andrew Wakefield Video Talks, Government experimentation on the public, Personal Stories Vaccine Injuries, Pregnancy and birth, Vaccine Injection Room, You are being poisoned and tagged VAXXED on August 8, 2016 by Editor. This entry was posted in Dr. Andrew Wakefield Video Talks on April 12, 2016 by Editor. If you want to know the real story of Dr. Andrew Wakefield including his opinion on vaccines, watch this. This entry was posted in Doctors Speak Out, Dr. Andrew Wakefield Video Talks, Pregnancy and birth, Vaccine Injection Room on October 31, 2015 by Editor. Dr. Wakefield’s recommendation towards the end of the conference is to present to legislators the facts of the two whistleblowers, Thompson and Crowely, who worked for the CDC and Merck respectively, and whose facts are now being presented to Congress and through Fed Court. Both have hard evidence, internal documents, insider emails to prove that vaccine manufacturers regularly falsify data and that the vaccines are neither safe or effective, as exemplified in these cases. This entry was posted in Doctors Speak Out, Dr. Andrew Wakefield Video Talks, Medical information and Research Data, Pregnancy and birth, RESEARCH, STUDIES, DOCUMENTATION, Vaccine Injection Room, Wake up Films & Documentaries on May 20, 2015 by Editor. This entry was posted in Dr. Andrew Wakefield Video Talks on May 19, 2015 by Editor. 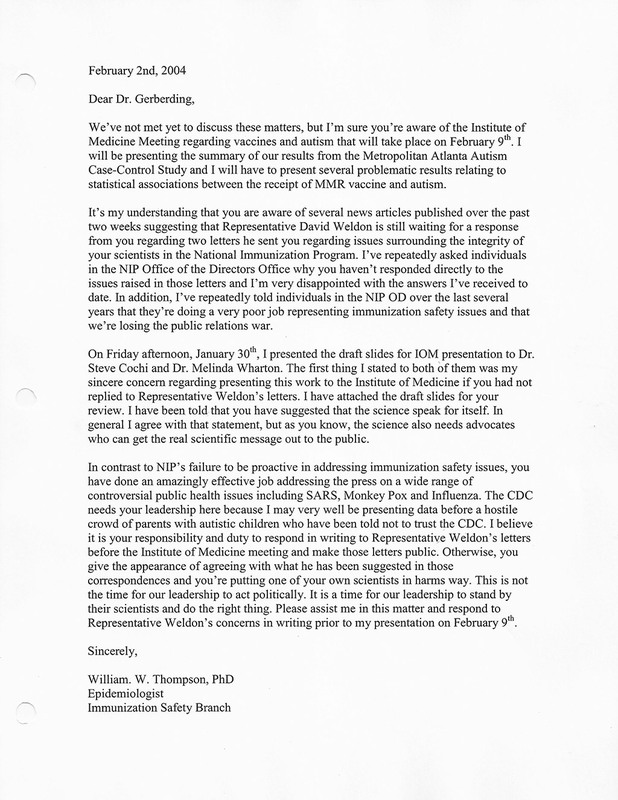 “I apologize again for the price you paid for my dishonesty…”–CDC Whistleblower Dr. William Thompson to Dr. Andrew Wakefield. Wakefield- “Is the Press Release real”? Wakefield: “Thank You. It was the right and honorable thing to do”. Thompson: “I agree. I apologize for the price you paid for my dishonesty”. Wakefield: “I forgive you completely and without any bitterness”. Thompson: I know you mean it and I am grateful to know you more personally. The last desperate effort when the CDC whistle blower story broke last week was for the vaccine establishment and media to drive a wedge between Dr. Thompson and Dr. Andrew Wakefield, whose “fraud” (according to British journalist Brian Deer) has been made to carry the sins of the entire vaccine industry for many years. Dr. Wakefield shared two text messages with The Truth Barrier that he and his wife received from Dr. Thompson. Polly Tommey, Director of Autism Media Channel, told The Truth Barrier there are more whistle blowers trying to find the courage, and or, the legal protection, to speak. This entry was posted in Doctors Speak Out, Dr. Andrew Wakefield Video Talks and tagged Whistleblower on September 2, 2014 by Editor. Gary Franchi Interview Dr. Andrew Wakefield – Riveting!!! This entry was posted in Dr. Andrew Wakefield Video Talks, Medical information and Research Data, Pregnancy and birth, Recommended Websites on August 30, 2014 by Editor. African-American boys who receive their first MMR (measles, mumps, rubella) vaccine before the age of 36 months have a 300% increased risk for autism. If this is true, what else is the CDC hiding? This entry was posted in Death By Medicine, Doctors Speak Out, Dr. Andrew Wakefield Video Talks, Government experimentation on the public, Pregnancy and birth, RESEARCH, STUDIES, DOCUMENTATION, Vaccine Injection Room on August 20, 2014 by Editor.